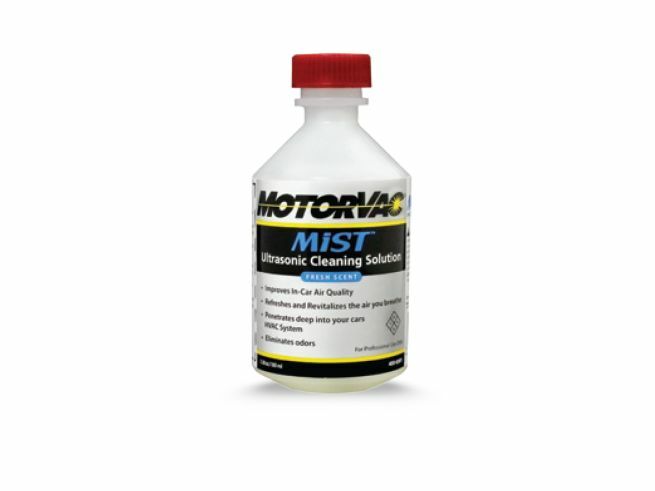 400-0501 | MotorVac CarClean Ultrasonic Cleaning Solution - CPS Products Inc.
Why treat the inside of your vehicle’s HVAC system? MiST Cleaning Solution kills bacteria in vehicle HVAC systems and cabin surfaces, restoring the air quality of your customer’s vehicle. It travels through the entire HVAC system to combat mold and mildew and improves the quality of the air in the vehicle.